Douglas Jutte, MD, MPH, Executive Director, attended Advancing the Anchor Mission of Healthcare in Washington D.C. in December. He shares about the outcomes and discussion that happened. 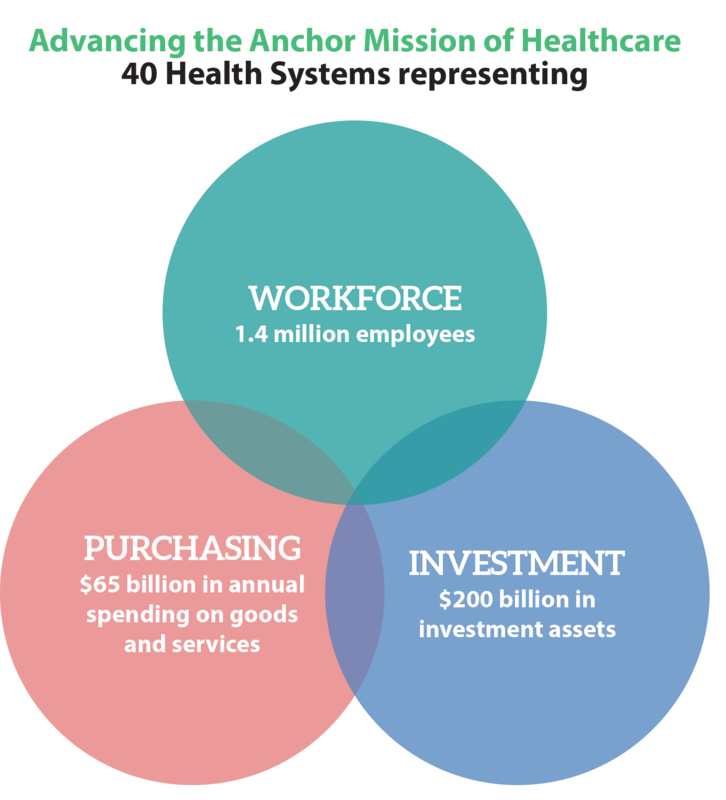 In December 2016, Dr. Doug Jutte represented the Network at the first national convening among hospital and health system leaders on the “Anchor Mission of Healthcare,” sponsored by the Democracy Collaborative. 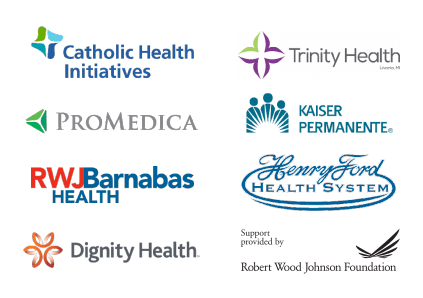 The meeting brought together 43 health systems from across the country, with representatives from urban, rural, community-based, public, academic, children’s hospitals, Catholic and other religiously affiliated hospitals. 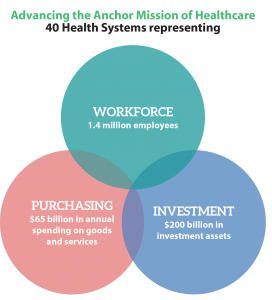 With over $65 billion in annual purchasing and $200 billion in investment portfolios, and nearly 1.4 million employees, these 43 healthcare systems nearly 1% of the total American workforce. All of the systems are interested in investing more effectively in their communities. In addition, there were 10-12 “NGOs” (non-governmental organizations) including BALLE, ChangeLab Solutions, Health Leads USA, and the Public Health Institute. There was great collaboration and very dynamic conversation. 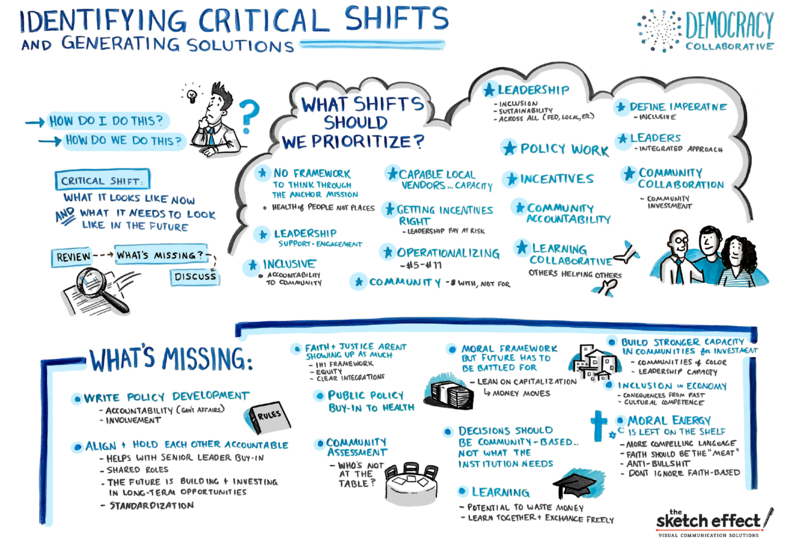 This summarizing illustration illuminates some of the solutions and challenges discussed at the meeting. 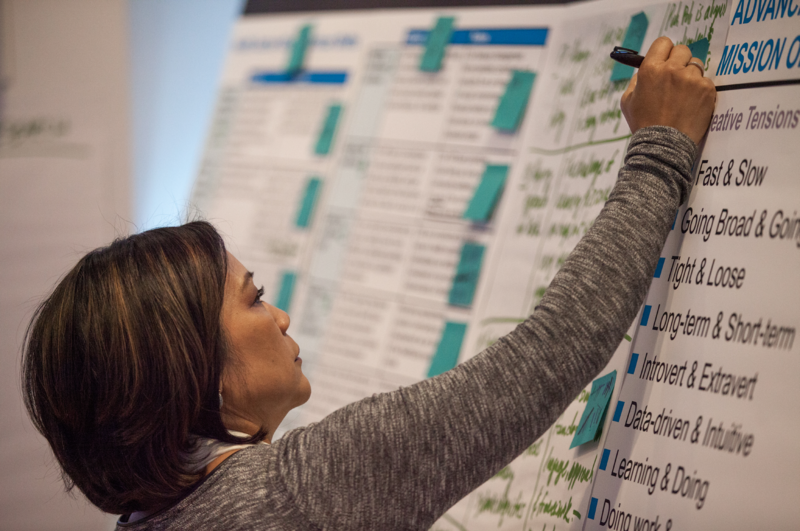 Read the report from the convening by The Democracy Collaborative. Note: All images and photos from the Democracy Collaborative’s report.